The book you are about to read is an accident. I was starting to write about a totally different subject when something in my research caught my eye. This initial flash of interest led me further and further to the point that I lost interest in the book I was thinking of writing in order to focus on this one. Why should you as a reader be interested in how this book came about? Because the fortuitous circumstances that brought me to it highlights the essential thesis of the book. Some people might be inclined to believe that I had somehow been "guided" to abandon my first idea for a book in order to write this one. Others would be more inclined to believe that the transition was simply the fruit of coincidence. I tend to side with the latter, at least provisionally. This is what is known as the "negative default position." When confronted with a possibly improbable phenomenon, the best thing is not to believe it until good reasons can be adduced to justify the belief. For example, if you were to meet someone who claimed to have been abducted by space aliens, tested and probed in their laboratory, then returned to Earth, your reaction would likely fall into one of two categories. ●"Wow! Tell me all about it!" ●"Really? A lot of people say such things. How can I know that what you are saying is true?" The first reaction belongs to people who already believe that such alien abductions actually happen. The second belongs to people who, while not denying that such abductions could happen, are not convinced that they actually do. Most people would take the second (negative default) position because they have justifiable doubts about whether or not the claim is true. This book is about skepticism. Its purpose is not to tell you when you should believe or not believe a claim; that is for you to decide. Its purpose is to give you some bases for making the decision, and how best to go about examining a claim. Why? Because believing things without question — especially when someone asks a question — will almost inevitably lead to detrimental results. 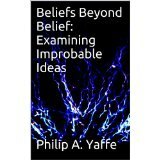 To examine the power of these “beliefs beyond belief,” this book consists of the following principal chapters. These are complemented by an appendix with essays that further illuminate the ideas and precepts examined in the body of the book. But a word of warning. Although the purpose of this book is to cast light on certain widely held beliefs, not to debunk them, this will often be the result. So if you are the kind of person who "knows because you know because you know," then this book is not for you. However, before you cast it aside, you might be interested to know about the work of James Randi and the James Randi Educational Foundation. James Randi is a former professional magician who subsequently turned his hand (and significant skills) to testing paranormal and pseudoscientific claims (e.g. 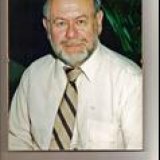 astrology, dowsing, extrasensory perceptions, faith healing, etc.). For nearly two decades now, the James Randi Educational Foundation has been offering a $1 million prize to anyone who can demonstrate the truth of any such claim under mutually agreed test conditions. As yet, no one has succeeded. It seems unlikely that anyone ever will. he graduated from the University of California, Los Angeles (UCLA) with a degree in mathematics and physics. In his senior year, he was also editor-in-chief of the Daily Bruin, UCLA’s daily student newspaper. He has more than 40 years of experience in journalism and international marketing communication. At various points in his career, he has been a teacher of journalism, a reporter/feature writer with The Wall Street Journal, an account executive with a major international press relations agency, European marketing communication director with two major international companies, and a founding partner of a specialized marketing communication agency in Brussels, Belgium, where he has lived since 1974. Books by this Author (for David M. Kinchen's reviews and for op-eds by Yaffe, type in Yaffe in the search engine on the top right hand column on the home page). ●Funny How You Say That! ●What’d You Say? / Que Dites-Vous?